On September 20th the wonderful exhibition Fabiola closed at the National Portrait Gallery. 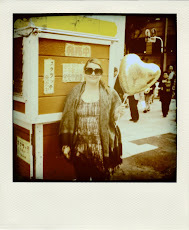 I was lucky enough to see it in passing one day while en route to meet a friend for an afternoon drink. It is a wonderful example of passion fueled by what I think of as a creative form of OCD. Julia Child had it for cooking and clearly this guy, Francis Alÿs, had it for the Christian Saint Fabiola. 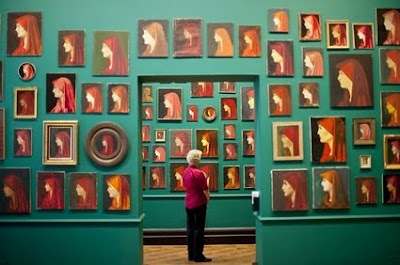 Created by the internationally acclaimed artist Francis Alÿs, Fabiola is an installation of hundreds of portraits of a fourth-century Christian saint. These portraits, including paintings,embroidery and miniatures, are all versions of the same nineteenth-century original, and were gathered by the artist from flea markets, antique shops, and private collections. This is a fascinating exploration of a portrait that has become an icon. renounced all that the world had to offer her, and devoted her immense wealth to the needs of the poor and the sick. She erected a fine hospital at Rome, and waited on the inmates herself, not even shunning those afflicted with repulsive wounds and sores. Besides this she gave large sums to the churches and religious communities at Rome and other places in Italy. All her interests were centered on the needs of the Church and the care of the poor and suffering.